NEW YORK — Among the many promises Donald Trump made a year ago to assure people he wouldn't profit off his presidency, one stood out for its boldness: a pledge to donate the profits from any foreign governments staying in his namesake hotels to the U.S. Treasury. "My overall ethics grade for the Trump administration is an F," said ethics lawyer Kathleen Clark of Washington University School of Law in St. Louis. But what drew their ire is what he didn't do: sell off his assets completely. They argued that as long as he continues to profit off his sprawling business empire, with branded hotels, golf courses, licensing deals and other interests in more than 20 countries, Trump remains vulnerable to those seeking to influence his policies. "I feel very confident that we are meeting our obligations," he said. The president has also spent one of every three days of his presidency visiting his properties, and he and his staff have mentioned them at least 35 times in tweets and public comments, according to watchdog group Citizens for Responsibility and Ethics in Washington (CREW). Ethics experts have long argued that the frequent references and photos of Trump strolling his golf courses and dining in his restaurants amount to an ongoing advertisement for Trump's brand. Then there's the taxpayer money spent at Trump resorts for the Secret Service and administration staff members who travel with the president — money for lodging, food and other expenses that eventually goes into Trump's pocket. To date, the administration has not released an accounting of such costs. The way the Trump Organization portrays it, the vetting of U.S. deals for conflicts, as outlined in the president's white paper, has been going well — perhaps too well. "Making sure every 'I' is dotted and every 'T' is crossed and everything is perfect — does that kill deals? One hundred percent," Trump's son Eric told The New York Times last month. "Is it the right thing to do when your father is commander in chief? 100 percent it is." "Appearance to whom?" he asked. "It's a very vague standard." An eight-page pamphlet provided by the company to the House Oversight Committee in May said that the company planned to send the Treasury only profits obviously tied to foreign governments, and not ask guests questions about the source of their money because that would "impede upon personal privacy and diminish the guest experience of our brand." 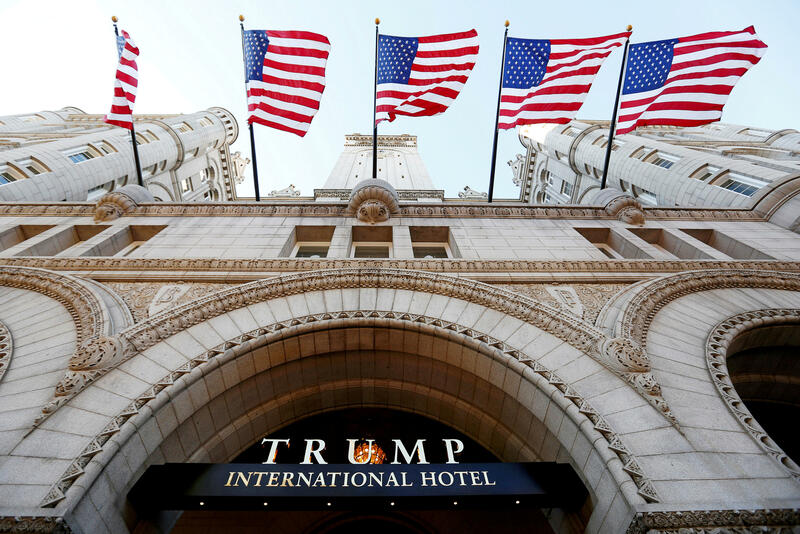 The Trump Organization pledged to make contributions to the Treasury at the end of the calendar year; now Trump Hotels says it is completing annual financial reporting and expects to have information in late February. The Treasury Department did not respond to multiple requests for comment.